Denise Garlick represents the 13th Norfolk District, composed of Needham, Dover and Medfield. Across the three towns she represents 40,000 people. Before coming to Beacon Hill she was the Vice-Chair of the Needham Board of Selectmen. Her career has been dedicated to public service and advocating for the rights of people in her town, state and nation. In addition to her official state duties, she is proud to be a mother, a nurse, a volunteer and known by all as a hard worker. She was elected to the House of Representatives in November of 2010, and is currently the House Chair of the Joint Committee on Mental Health, Substance Use and Recovery. This committee, and her role in the House leadership, allows her to have a positive impact on policy formation for her constituents and the Commonwealth. She has previously served as the Chair of the Joint Committee on Elder Affairs, Vice-Chair of the Joint Committee on Education and on the Joint Committees on: Public Health, Healthcare Financing and Mental Health and Substance Abuse. 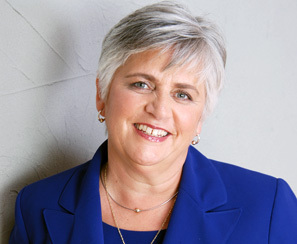 Representative Garlick strongly believes in working in coalitions with her colleagues and is a member of the Caucus of Women Legislators, the Metrowest Caucus, the Tech Hub Caucus, the Oral Health Caucus, the Caucus for Individuals with Developmental Disabilities, the Elder Affairs Caucus, the Biotech Caucus, and the Manufacturing Caucus. Before serving in the state government she was a member of a number of elected and appointed boards. On Needham’s Board of Selectmen, she was responsible for municipal issues of education, public safety, public works and public health, and helped to manage a budget of more than $100 million. She also served as the Chair of the Needham Board of Health and as a Town Meeting Member. In 2006, Denise founded and chaired the Needham Coalition for Suicide Prevention, which continues its work today and serves as a model for communities across the United States. She also chaired the Needham Senior Center Exploratory Committees, which lead the charge in constructing a $8.2 million Senior Center. Denise is a Registered Nurse and values her wide-ranging experiences in both teaching and community hospitals, including union and nonunion systems, as well as community health settings. She has had many leadership roles in her profession and the broader field of health care. Nationally, she has delivered lectures on health and safety issues for healthcare professionals. She holds a Bachelor of Science in Nursing, and recently completed Harvard University’s Healthcare Leadership seminar. Denise currently serves on the Harvard School of Public Health Environmental Research Center Advisory Board. 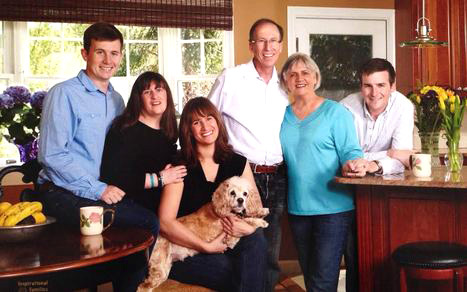 Denise and her husband, Russell, are long-time residents of Needham, Massachusetts. They are the proud parents of four children.